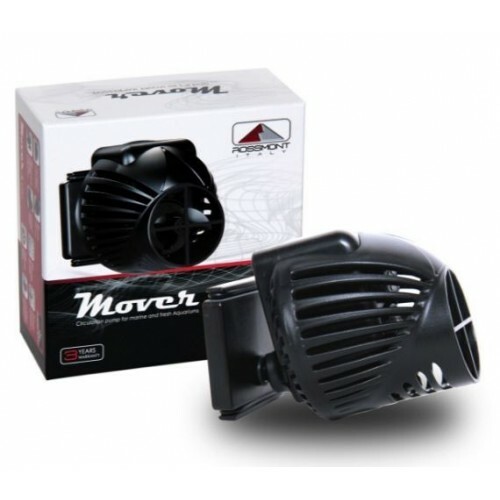 Rossmont Mover M-Series Aquarium Stream Pump features a unique propeller design capable of moving a huge amount of water while keeping energy usage to a minimum. Energy-efficient stream pump features a 120° flow output angle and with the included Concentrator Nozzle it can simply generate more concentrated flow preferred by SPS corals. Rossmont Mover M-Series Aquarium Stream Pump delivers smooth and silent operation thanks to a Vibration Absorbing System with long-lasting rubber insulators. Creative housing design forces water through a certain path for a built-in Auto Cleaning System that helps reduce debris, calcium, or salt buildup for hassle-free long-term operation in both marine and freshwater aquariums. Rossmont Mover M-Series Aquarium Stream Pump measures approximately 3-1/8" x 3-7/8" with an internal Magnet mount footprint of just 2" x 2-3/8". Primarily in marine reef aquariums, waves and water currents are indispensable for oxygen exchange between water and air surface. This oxygenation process supports the health of the whole habitat by carrying all the elements necessary for it. Moving water supports gas exchange in freshwater aquariums in the same manner facilitating the growth and health of fishes and plants. More importantly, it prevents the formation of stagnant areas among the plants and helps maintain water temperature. An axial rotor stream pump generates a conical turbulent flow that is very wide and well designed for this purpose. In aquariums, this flow is considered very efficient especially in presence of soft corals or LPS (Large Polyps Stony Corals) that do not require excessive water movement. It is, however, very important that the flow is slightly more concentrated in the case of SPS corals (Small Polyps Stony Corals). For this reason, a Concentrator Nozzle that reduces the flow output angle to about 60° is included as standard equipment. A Protection Grid is also included to protect fish from entering the rotor chamber. VAS is a unique system that guarantees maximum operational silence of the product. 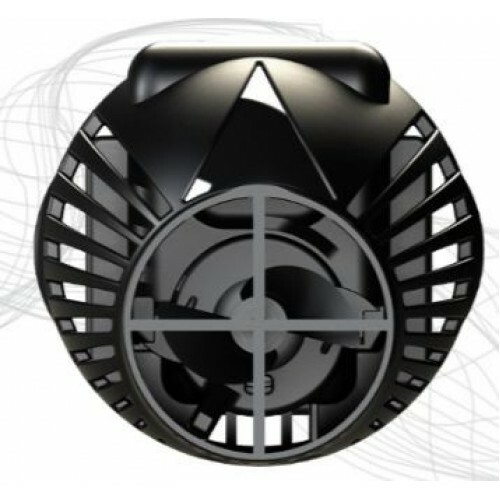 This technology is capable of absorbing vibrations normally transmitted by the product. Rotor assembly rotation is isolated from contact points with external parts for smooth and quiet operation. 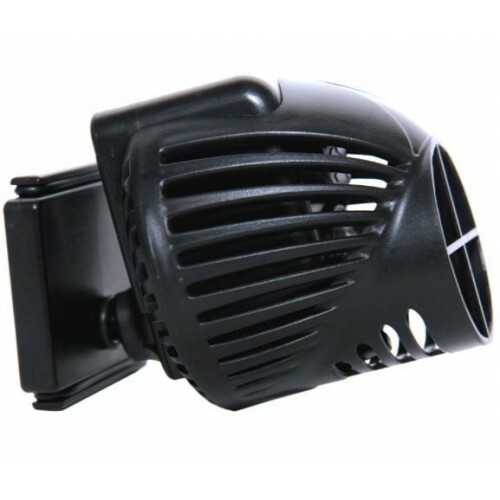 Long-lasting Rubber Insulators located in areas where the product comes in contact with aquarium glass prevents vibrations from transmitting to the environment. Manufactured with auto-lubricating technical plastics and food-grade stainless steel core, the rotor boasts high precision ceramic bearings, coupled with a shock absorber that eliminates vibrations for quiet and safe startup. The External Locking Disc that contains these parts permits quick extraction of the Rotor Assembly but also provides protection in case of accidental falls. By employing a propeller design based on the principles of motorboat propellers, the Rossmont Mover generates a turbulent and very wide flow capable of moving huge masses of water while maintaining low-energy usage. This also means heat transmission from this pump to the ambient surrounding is kept to a minimum to prevent increasing aquarium temperature. The Auto Cleaning System is a set of windows and openings positioned in particular points of the pump designed to force water through a specific path. As water circulates through the pump, areas that would normally experience debris, calcium, or salt buildup are continuously cleaned. 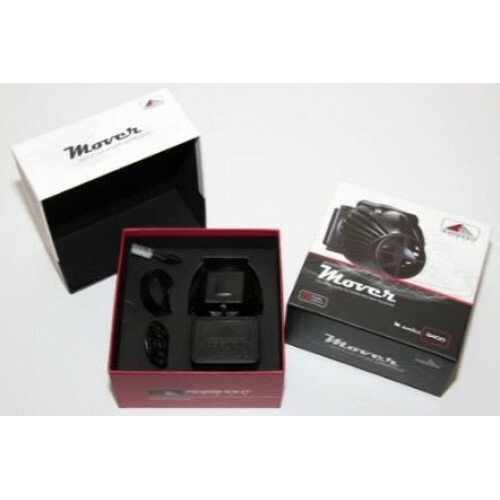 In this way, the frequency of maintenance is considerably reduced and the life of the product increases exponentially. Thanks to the ACS, the Rossmont Mover is guaranteed for 24-hour operation without any particular attention, both in marine and freshwater aquariums. Though ACS technology helps reduce maintenance frequency, when it is time to clean your Rossmont Mover, use the included Cleaning Brush to ease maintenance. Its compact design and practical handle allows you to easily clean your pump in great detail.